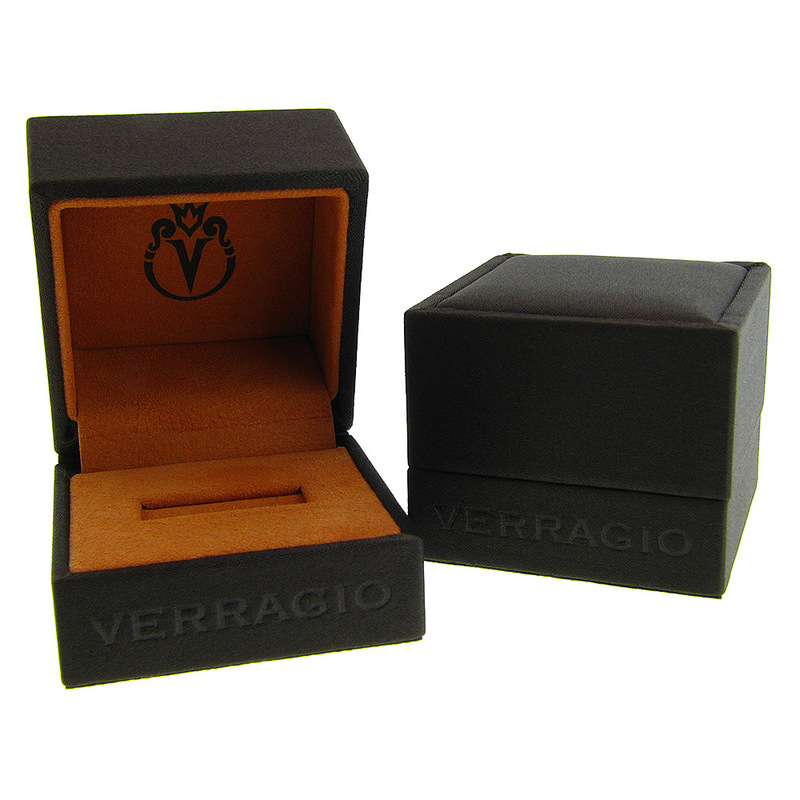 The Insignia Collection..Experience It Now! Characterized by fluidity in style and design, the Insignia Collection draws a heavy aesthetic influence from the Paradiso Collection. Featuring a simple scrolling design beneath the center stone exclusive to the Insignia Collection, the prevalence of diamonds over metal, the Insignia pieces are symbolic of a commitment that cannot be matched by any other expression. INS-7010W pairs perfectly with INSIGNIA-7010 from the new Insignia Collection, featuring 0.25tw. of round brilliant diamonds. 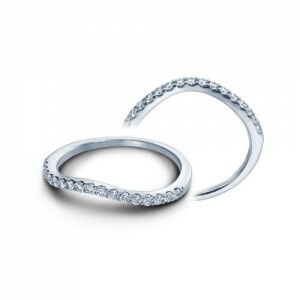 Available in 18K Gold and Platinum. Metal choice may be selected in "drop down" box at "Add to Cart" area. $2,300 ranging upwards of $3,500. 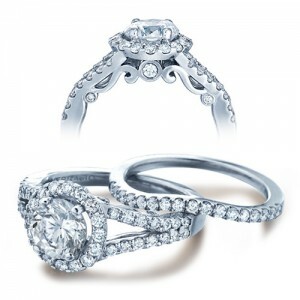 Verragio rings in stock, ship within 24 hours. 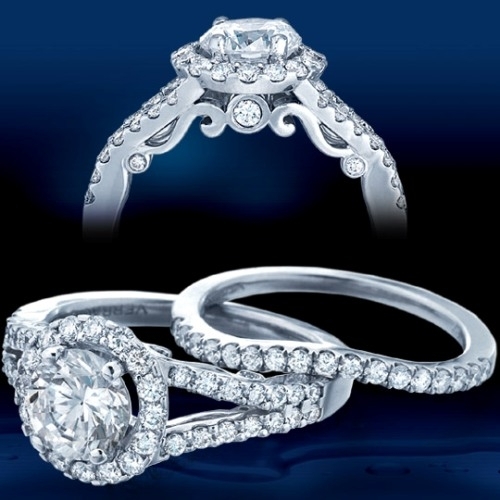 TQ Diamonds has exclusive rights to represent and sell our jewelry. 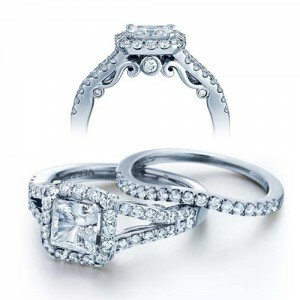 Verragio has personally chosen TQ Diamonds because they have the experience and expertise to properly represent Verragio and provide you with the best service available. 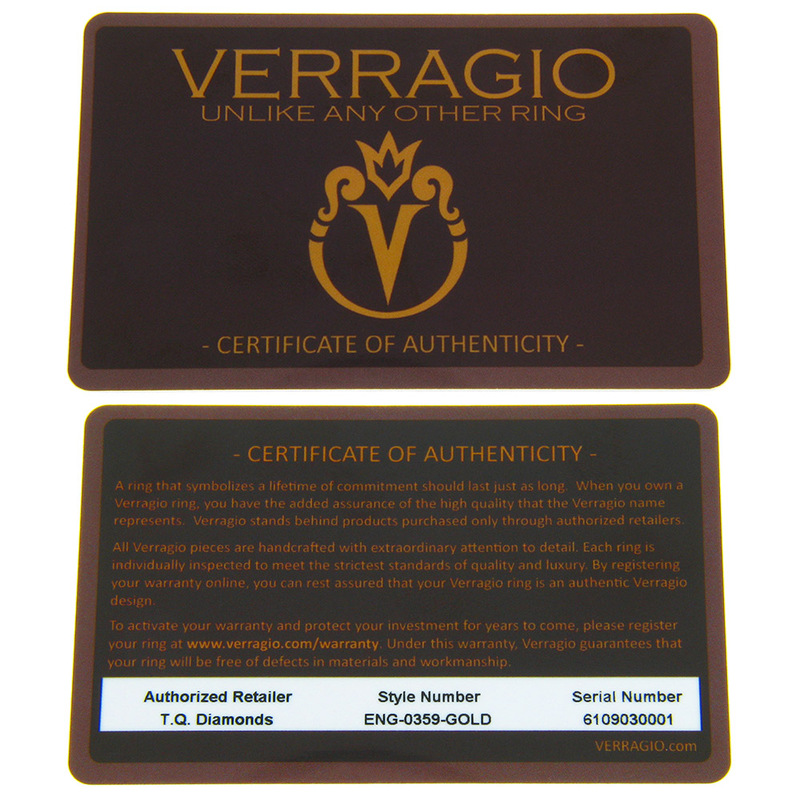 Don't risk losing your warranty buying a Verragio from an online auction site that can't offer a valid warranty! TQ Diamonds is your #1 authorized retailer.